Also known as Nut Horns. Also very, very similar to the ever-popular Snowballs a.k.a. Mexican Wedding Cookies a.k.a. Russian Tea Cookies. So many different names! These cookies are made of a buttery, shortbread style dough with ground nuts. 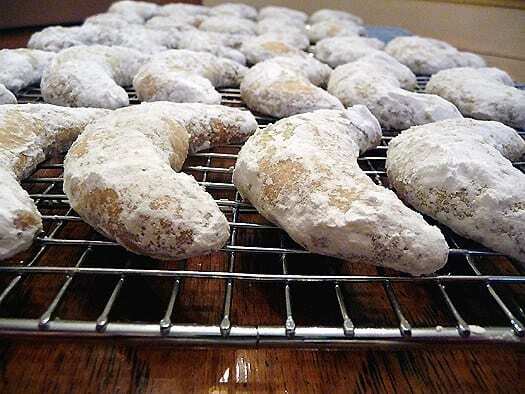 After they are baked and cooled they are rolled in powdered sugar, giving the cookies a sugary-sweet kiss that will have all the kids running (be on the lookout for white fingerprints!). The original recipe calls for a mix of walnuts and almonds, but I decided to go with all walnuts; I love walnuts much more than almonds and I had a big bag of them thanks to a recent stock-up trip to Sam’s Club. 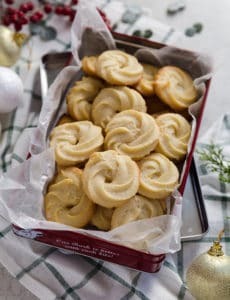 This is a great cookie to include in Christmas tins or baskets, as they keep well at room temperature for about a week. I am adding these cookies to the virtual cookie jar as part of the 12 Days of Sharing to help end childhood hunger. The campaign is hosted by the Share Our Strength organization, with the idea of the virtual cookie jar being run by Jennie of In Jennie’s Kitchen. Bloggers are encouraged to bake and blog about a holiday baked good for the cookie jar, while promoting the 12 Days of Sharing campaign. Clicking on the badge you see below will take you to a donation page. If you feel so inclined, you can make a donation of any amount to the campaign. Anyone who makes a donation, no matter the amount, is eligible to win some great kitchen-related prizes. Virtual Cookie Jar: All of the wonderful recipes that have been submitted by fellow bloggers. The Giveaways: A list of all of the prizes being given away to some lucky givers! How to Participate (FAQ): Details on how to participate in the virtual cookie swap. Time for some delicious cookies! 1. Preheat the oven to 350°F. Spread walnuts in a single layer on a rimmed baking sheet, and toast until light golden and fragrant, about 8 minutes. Transfer to a plate, and let cool completely. Line two baking sheets with parchment paper. 2. 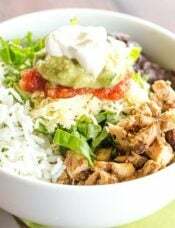 In a food processor, combine ½ cup flour with the toasted nuts, and pulse until the nuts are finely ground. In a medium bowl, whisk together the flour-nut mixture and the remaining 1 cup flour and the salt; set aside. 3. In the bowl of an electric mixer fitted with the paddle attachment, beat the butter and ½ cup sugar until light and fluffy, about 2 minutes. Beat in vanilla. With the mixer on low speed, add the flour mixture in two batches, and beat until combined. 4. 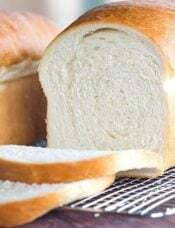 Roll 1 tablespoon of dough into a 3-inch log. Using your fingers, shape log into a crescent, tapering the ends slightly so that the center is the widest part. Repeat with remaining dough, placing crescents about 1 inch apart on prepared sheets. 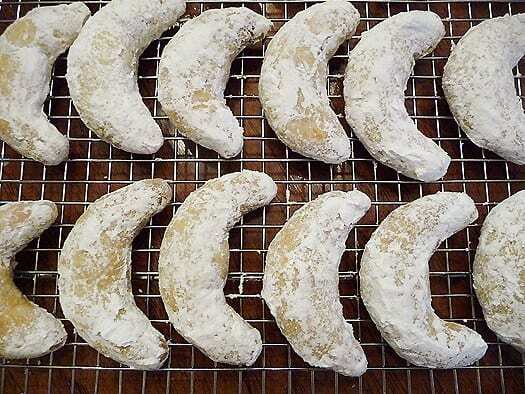 Freeze or refrigerate until crescents are very firm, about 30 minutes. 5. Bake, rotating sheets halfway through, until the edges of the cookies begin to turn golden, 16 to 18 minutes. Transfer sheets to a wire rack to cool, 5 minutes. Transfer cookies to the rack to cool completely. 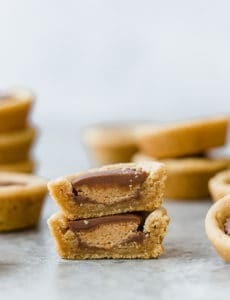 Place the remaining 1 cup sugar in a shallow bowl and roll cookies in it to coat completely. Cookies can be kept in an airtight container at room temperature for up to 5 days. 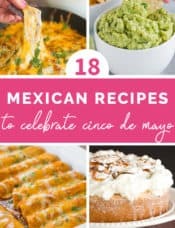 I am very dissappointed with making this recipe. My crescents turned out flat as a pancake after the 18 min of baking at 350 degrees. I don’t know what i did wrong. First time making this recipe. Any idea what could have went wrong? Hi Kiki, I would recommend starting with whole almonds and proceeding with the recipe as written for the walnuts. Do you think these would freeze well? How long do you think they could be frozen for? 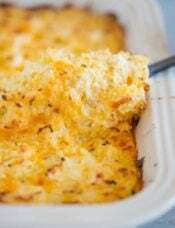 These are my dad’s FAVORITE and my grandma doesn’t make them much anymore so I would love to make them for Thanksgiving! Hi Ryan, Yes, they would freeze wonderfully! I would say about 2 months or so. I’ve seen these cookies before, they are Gazelle Horns Cookies / كعب الغزال. 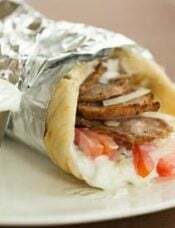 They have a history and a meaning, from the Arab world not just butter and flour. You seemed to name drop every country (Mexico, Russia) except the countries that created these beauties. Can u freeze these cookies? Hi Sandra, Yes, these freeze well! This was one of my Mother’s Christmas cookies. Like you, she used all walnuts. I love them so much. 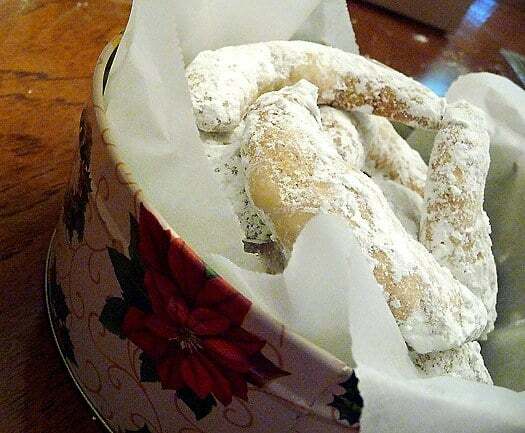 My exhusbands grandma used to make these and they were always my favorite.Now I’m going to try making them for the first time. I guess these cookies have a lot of different names. Here in Germany their name is “Vanille Kipferl” according to the vanilla extract and the form. My maternal grandmother makes them with almonds and powdered sugar but my paternal grandmother uses rosted almonds and vanilla sugar for the topping. I can’t decide wich ones I like the most. But both are an important component for my christmas time and I eat them very much! The best greatings from Germany! P.S. : I love this page… Thanks for it! If you have the patience and a sharp knife, you could certainly chop the walnuts finely by hand. You won’t get quite the same consistency but I am sure they would still be great! 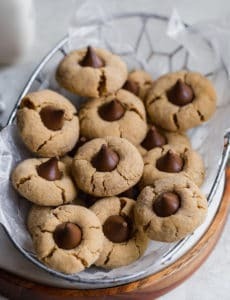 These are some of my favorite holiday cookies! I’ve always wanted to make these! These sound really simple… unfortunately I don’t have a food possessor. Not so much room in my tiny (and I mean TINY) kitchen! Those are fabulous!They look exactly like the ones my grandmother made when I was a child, what memories. Yum! These cookies look delicious. Perfect addition to the virtual cookie jar. My wife’s Babbi used to send these up to us in tins. They would never last until Christmas time though. Unfortunately, Babbi is much too elderly to make these anymore, but thank you for the recipe as a reminder! Mmmm, these look lovely and so elegant! 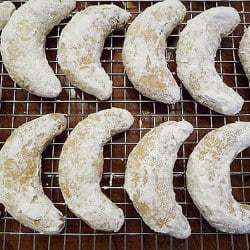 My grandmother always made these with almonds; curious to try a walnut version! While other cookies came and went, these were always in the carefully-mailed cookie tin because they were such good keepers. I love nut crescents, they are so good! Those look delish. 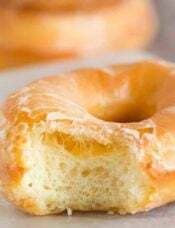 I have made a similar recipe with Almond Flavoring in them and I can’t find the recipe anymore. Sad, because I LOVED that recipe. Wonderful!! These are stunning! I want (need!!!) some now!!! I love Wedding Cookies so I’m sure I’d scarf these down O:-). Great cookies for a great cause!